Thanks to the people at MomSelect, I received a boxful of goodies. So, watch futures posts for reviews of great products! I was super excited to see this 12″ Torpedo Level with keyhole indicators inside the box. 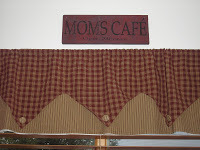 I had just purchase a sign I wanted to hang in my kitchen and it had keyhole slots to hang it rather than a hanger on the back side. It was meant to be! 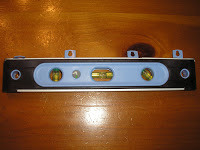 This Torpedo Level is made by Latitude Tools and it states” Our tool line has the right fit, feel, and function for You. Our tools were developed with women in mind – Your success is our goal! This was a tool made for me. It was super simple. The keyholes extend so I could line them up perfectly with the holes on my sign. Once I found the center on the wall, I was ready to go. I hung this sign in less than 5 minutes. My husband will be so proud! Thanks to Latitude Tools and Mom Select for sending this handy tool my way. It will get a lot of use around here and just maybe I will let my husband use it too!